the Swedish naturalist, who developed a methode to classify and organise plants and animals. "funereus" comes from the Latin word for funeral. it was named after the Greek god of the north wind, Boreas. 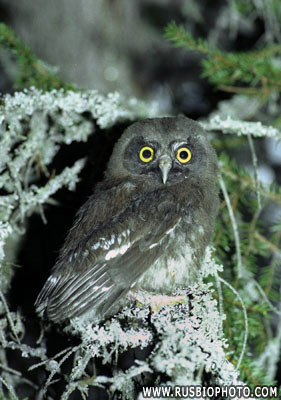 In other parts of the world, it is known as Tengmalms Owl. 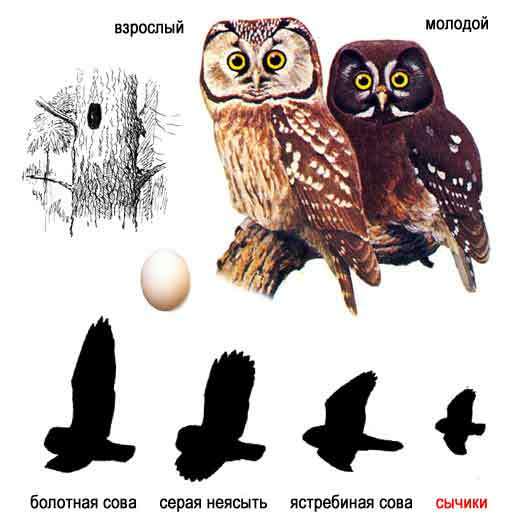 Other names are Richardson's Owl, Sparrow Owl, Partridge-haw and Pearl Owl . A nocturnal Owl, also unsociable. Adult males are territorial, however, territories are small. Males will sing intensively only as long as they are unmated. Flight is straight and noisless, with soft wingbeats. but may also use natural cavities. 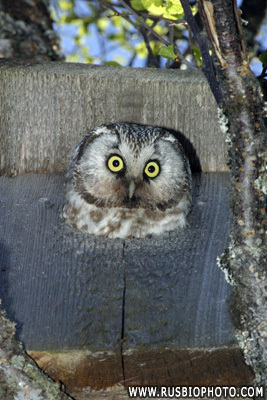 They will take readily to artificial nest boxes. Males begin searching for nest holes in late Winter. Prey items are often deposited into the hole, after which, the male will sing from a perch. and utters a stuttering or trilling song. The female may then inspect the nest hole, and if she accepts it, will stay. The male brings her food while she is in the hole. Several days later, the female lays 3-8 white eggs which are laid a day apart. Incubation begins with the first or second egg laid, and lasts 28-29 days. The female does all incubation and the male brings food to the nest. The chicks hatch a day apart, and their eyes open after 10 days. 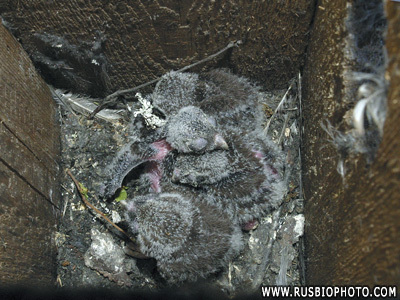 They leave the nest at about 30-32 days, and are looked after by the parents for 4-6 weeks. They are mature at about 9 months. 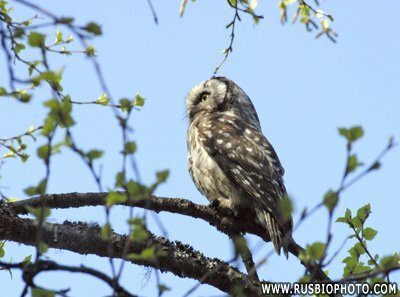 Boreal Owls usually hunt by perching on low branches or tree trunks. as they hunt primarily using their excellent, directional hearing. 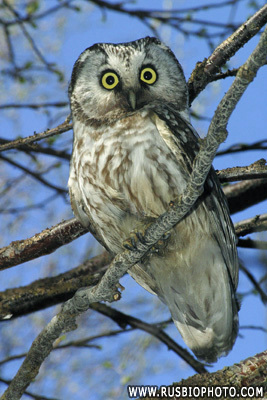 When a victim is located, the Owl will swoop on it from the perch. Prey Items are mainly small rodents, especially Voles. They also eat lemmings, shrews, mice, and moles. They occasionally take small birds, squirrels, bats, frogs and beetles.